Oakland’s Hiroyuki Nakajima is having a horrible spring. I had a fairly aggressive projection for him, based on him being a full-time player this year, but he’s slipping fast and doesn’t seem likely to be a starter coming out of camp. Handicapping NPB players is more art than science at this point, especially since the league changed the baseballs a couple years back. What samples we had up ’til then became much less useful. But the other issue is the one of short-term failure or success. Nakajima may actually have all the talent implied by the projection, but his slumping month could deprive him of regular PT. I’ve trimmed him to 250 AB for now, but kept his offensive rates intact. This doesn’t make sense, such a player would likely be a regular, but it tries to reconcile his slow start with my original estimation of his talent. There may well be further adjustments in the next 10 days. Houston’s Jason Castro is healthy and having a torrid spring, the sort of thing we expected a couple of years ago. I’ve bumped up his projection, both power and batting average, and bid price a bit. Chicago’s John Danks is struggling and not healthy. He’s likely to start the season on the DL. I dropped his bid price a bit, though it’s still higher than his prices in CBS and LABR. I already had a modest bid price on Kansas City’s putative closer Greg Holland, because the team has two excellent alternatives in Kelvin Herrera and Aaron Crow. Holland’s velocity is down this spring, so be careful here. I had the Yankees’ Derek Jeter with too many AB given his age. Colorado’s Josh Rutledge made a strong impression last season after he was called up, hitting for power and average. He’s the team’s second baseman going into this season and looks like he’s a $17 player this year, kind of prorating out what he did last summer. There’s a few reasons to be cautious. Most importantly, he’s a swinging machine with just fair contact skills. That matters because if he gets off to a bad start and Nolan Arenado stays hot, the Rocks have plenty of alternatives, so his position is far from secure. This isn’t a prediction of doom, just a reason not to like all the things about Rutledge’s there are to like uncritically. Miami’s Juan Pierre should be going at a goodly discount to his projection, a reflection of his advancing age. At some point he’ll get injured or slow down. 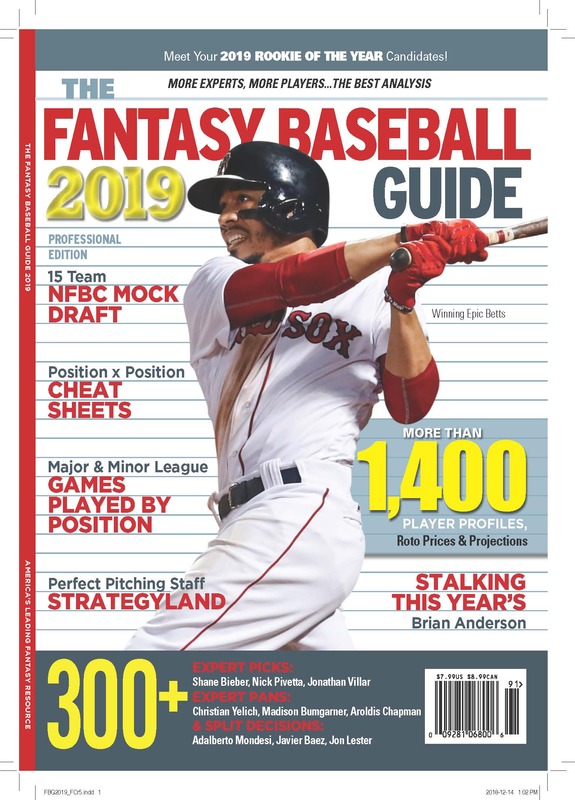 Milwaukee’s Ryan Braun is the NL’s best hitter, reflected in a $40 projection and $40 sticker prices in CBS and LABR, but he’s under investigation for the Biogenesis mess. He’s too good and the story is too weird to knock his price down a lot, but I did erase the premium I built in because he’s so extraordinary. But he’s now a risky play, rather than a safe one. The Brewers’ Jean Segura is a player attracting divergent positions. He’s got good speed, but is young and unproven and without any power at all. Plenty of players are effective with those skills, if they can lay bat on ball and use their speed to get on base. Segura doesn’t walk that much and a slow start could cost him playing time or his job. It’s that risk that has my price on the low side. Pittsburgh has Travis Snider slated to play right field this year, but Snider’s past failures weigh heavily on him. He’s still just 25 years old, so chances are good he’ll overcome, but a slow start and he could give ground quickly to Jose Tabata, who comes with baggage of his own. That’s a good reason to bid lightly on both of them. Arizona’s Adam Eaton is perhaps the young player fantasy punters are most excited about this spring. He’s having a fine spring and seems to be in position to see the bulk of the AB playing CF for the Dbacks. His Triple-A stats came from Reno, and it’s really hard to adjust the outsized offensive stats coming out of that park in that league, so there’re a range of possibilities. I’ve said before I’m not convinced he’s going to set the league on fire, but he’s a solid prospect with good speed who will take a walk. For some reason my mechanical projection for Washington’s Jordan Zimmerman was very modest. I’ve had a strong bid price on him, however, and he’s showing this spring that he’s added a very effective change up. Don’t let him go cheaply. Milwaukee’s Wily Peralta is in the rotation to start the season, and could make some noise this year. He should be cheap. San Diego’s Jedd Gyorko will see regular time to start the season because of Chase Headley’s injury. The projection for him in the software was fairly wack (really low BA, lots of RBI), and has been tidied up. This happens sometimes with the minor leaguers and is usually caught by this time. Gyorko’s season could turn on that limited audition in April. If he kills he could be a major leaguer for life, but if he gets off to a slow start he could end up returning to Triple-A when Headley returns. San Francisco’s Brandon Belt is having a nice spring. My bid for him was too low. I’ve bumped it up a few bucks, but am still below CBS and LABR. He’s a good post-hype sleeper, but is a lot less attractive if you’re paying him as if he’s a reliable piece. Brian Meissner Will Be Missed.